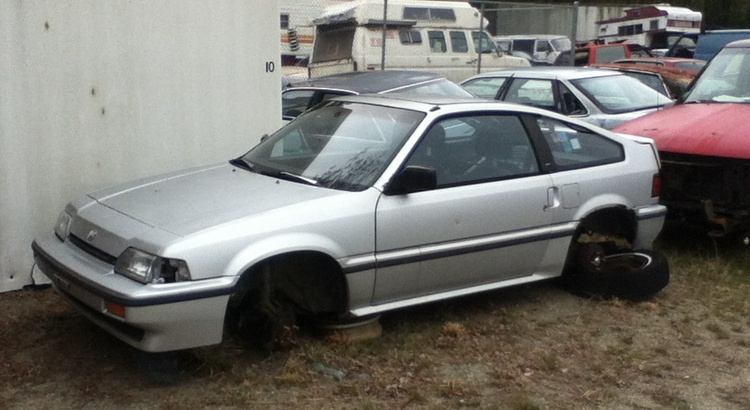 Nice body on this 1st gen 87 Honda CRX Si… the owner of this, “forgotten car paradise”, says it ran when parked, but doesn’t know if it has a title or WHY it was brought there. Feb. 13, 2015, 12:22 a.m. I followed a friend to this place, to get a flywheel for my 83 Corolla's 79 Corolla SR-5 2Tc engine swap... when I found this Japanese pocket rocket.